Denver Botanic Gardens is proud to partner with the Colorado School of Mines to join in a global citizen participation project on biodiversity. Biological diversity, or biodiversity, is the term given to the variety of life on Earth and the natural patterns it forms. In today’s global climate, how should biodiversity be conserved and protected in a sustainable way? Share your views and join the conversation. On Saturday September 15, the School of Mines will host a World Wide Views on Biodiversity deliberation event as part of a global discussion of biodiversity challenges, policy issues related to biodiversity, and potential solutions. World Wide Views on Biodiversity is a project designed to bring thousands of ordinary citizens together across the globe in a one-day discussion event. The results of the deliberation will then be presented at the October 2012 Convention on Biological Diversity COP11 event in India. When: Saturday September 15, 9 a.m. - 5 p.m.
How to participate: Fill out an application to participate. Participants will receive $50 compensation for their travel. Meals for the day will also be provided. You can learn more about biodiversity within Colorado and what we at Denver Botanic Gardens do to protect biodiversity through our website. Participate in the Biodiversity Scavenger hunt at Bluff Lake on Saturday, October 6 as part of their Fall Festival. 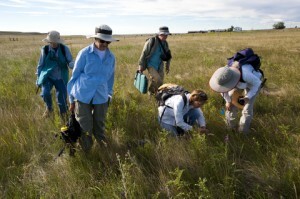 Or read about how we track biodiversity within Colorado through the Colorado Natural Heritage Program, or Colorado Natural Areas Program.